A really lovely bead. 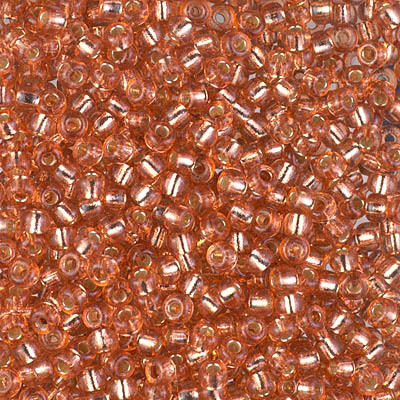 This is an almost neutral -- the ginger is a pinkish brown, lining a crystal triangle -- much luster and sparkle. The photo shows these in size 8/0 triangles; the color is the same though the size is significantly larger. 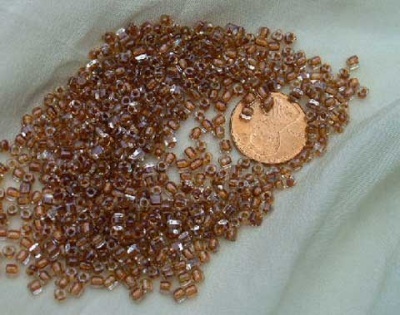 About 11 beads per gram, roughly 20 grams per container.